I am holding the steering wheel firmly with both my hands. I do not even allow them to betray me again. We had it hard as a team and all the turbo problems should be gone. It is time to show everyone, that we have the fastest monopost of all. 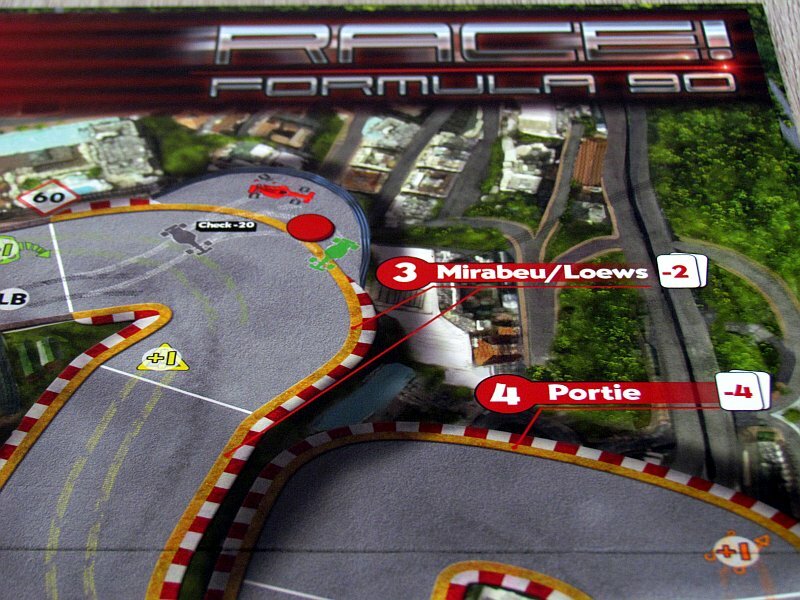 For all racing players, therefore, Alessandro Lala and Giuseppe Rossini have developed the Race! 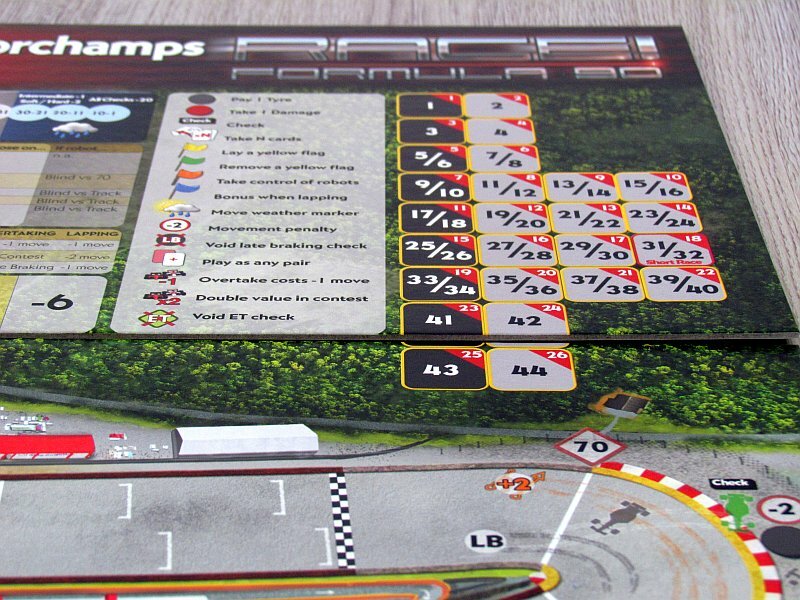 Formula 90 game. 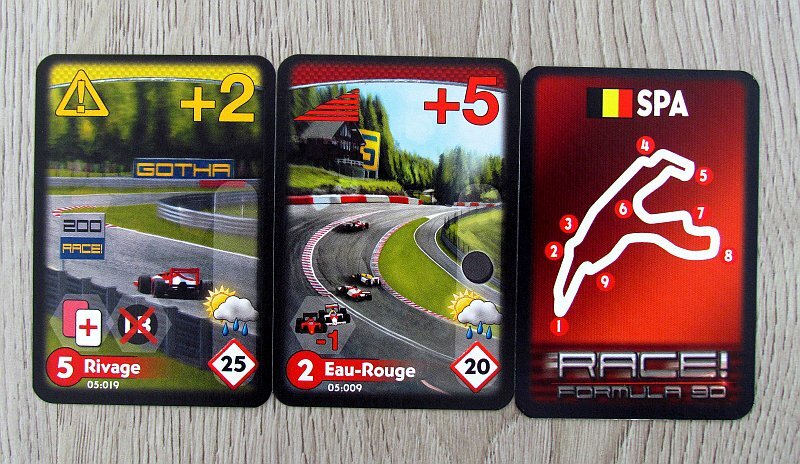 New box with its logo invites us to visit two new circuits – the Belgian Spa Francorchamps and the immensely popular Monaco. Both routes are Formula 1 classics. In a smaller box, two maps and a card decks are waiting for everyone intersted. 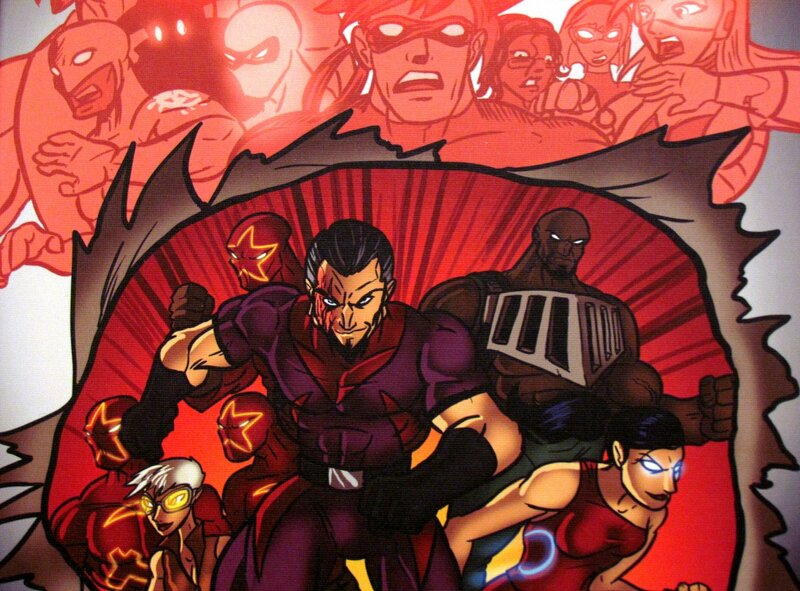 Players at the beginning of the game choose their team strategy to give them a certain advantage. Gradually, in turn, the formula moves forward, starting with the car in the first place. 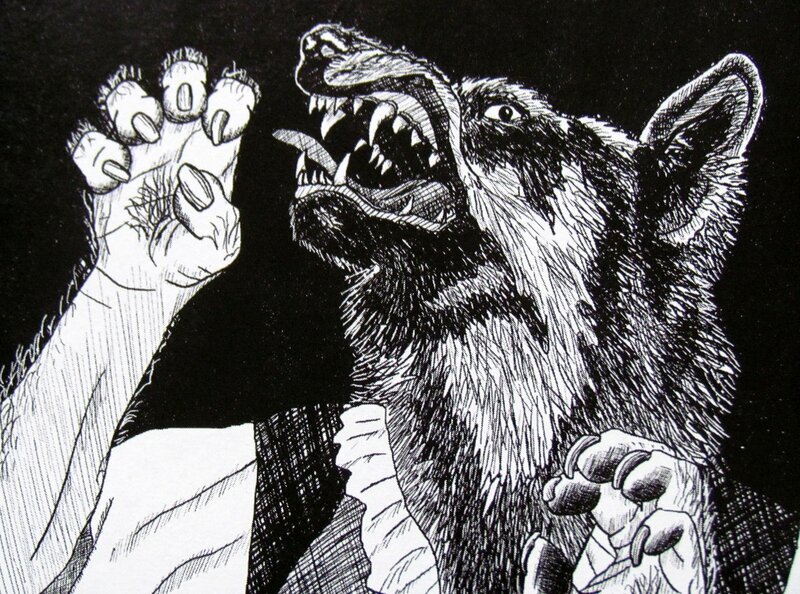 Competitors are using cards from their hand, which are gradually drawn – one at the beginning of each round. But players must keep their drivers in mind. Therefore, movements with descending numeric concentration (in the lower right corner) must be played. The the formulas traverse along the drawn trajectories. Each competitor chooses one. Overtaking is possible mainly on the brakes, but at risk of getting off track. 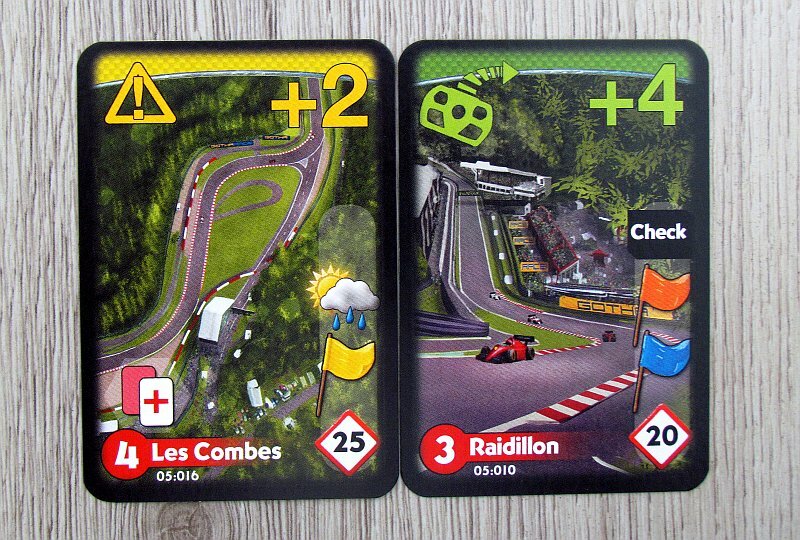 Players have their success (card number) compared to a randomly turned card from the deck. In common positions (one place may have more formulas in it), players will compete for the first player by playing cards again and compare their values with each other. 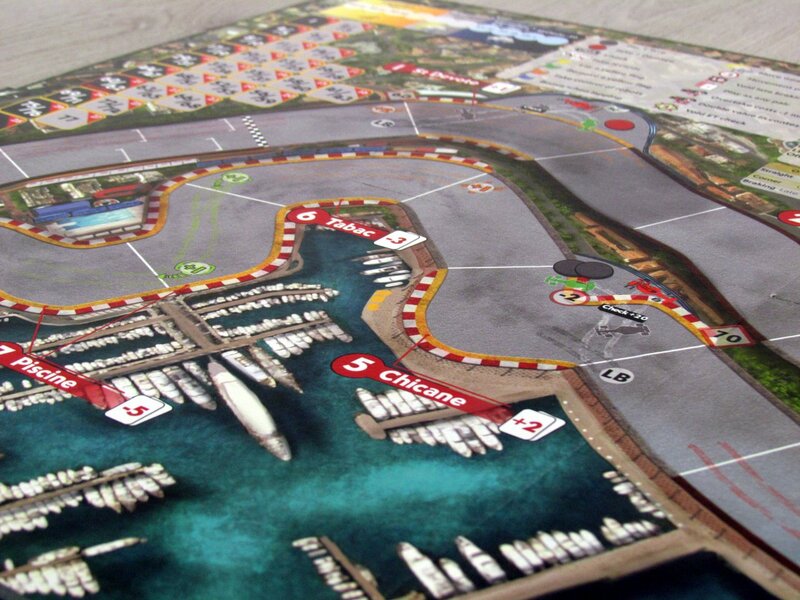 In particular, the strategy is important, as players must go through the boxes, repair their cars, get new tires and continue with the race until the final round. Whoever crosses the finish line first, becomes the winner. Race! Formula 90 has completely overtaken us with its tactics, even when we first talked about it in our review. 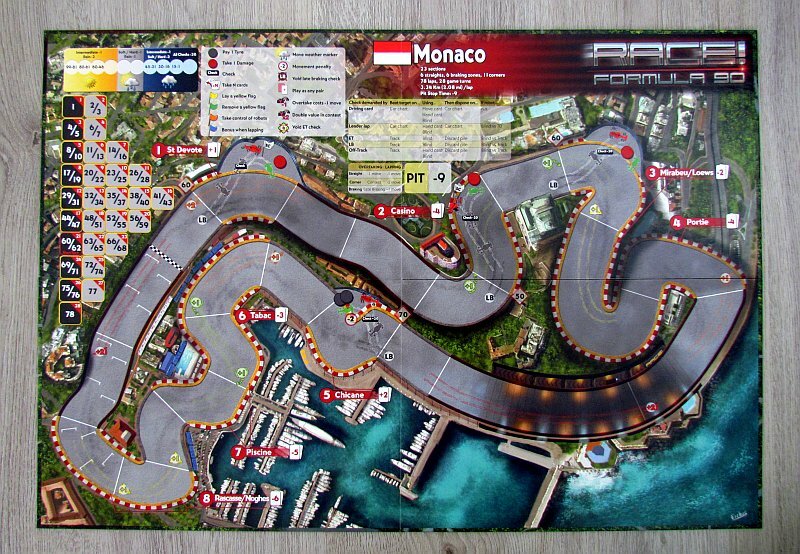 A lot of options, emphasizing the details of the true Formula One racing and the tension from the first straight to the final turn. The addition of all this and much more awaits players, who open this expansion. Routes you can choose are each truly unique and bring their own specific rules. 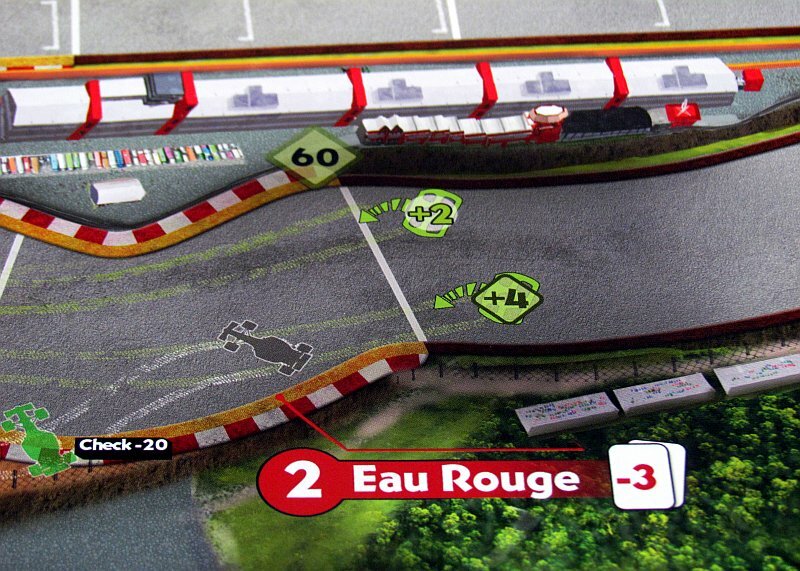 The entire race takes on a truly respectable twenty-eight rounds and players have to find space for two pit stops. This creates much more emphasis on these racing pauses, as the time spent outside the racing track seems much longer. As a result, players move nine sections backwards! 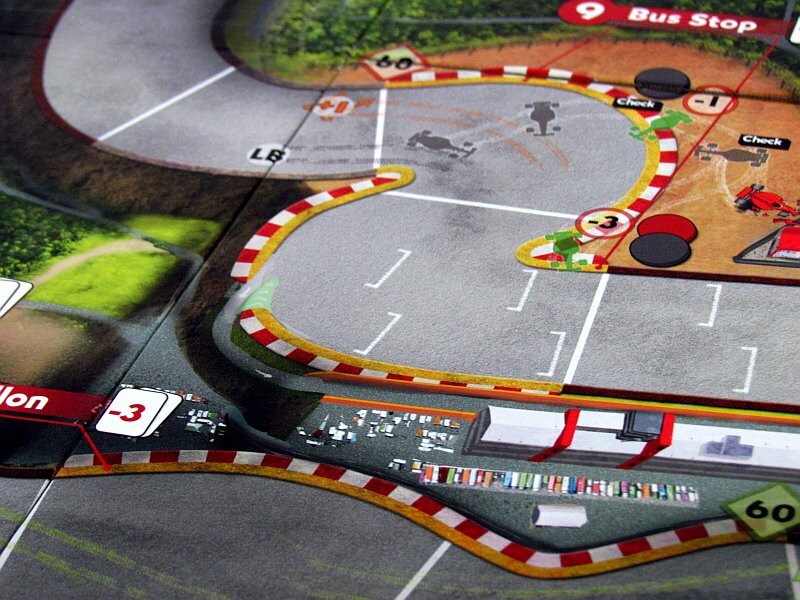 As one route is located between the mantinels, there is not much room for overtaking. This is simulating by bends with disallowed late braking. 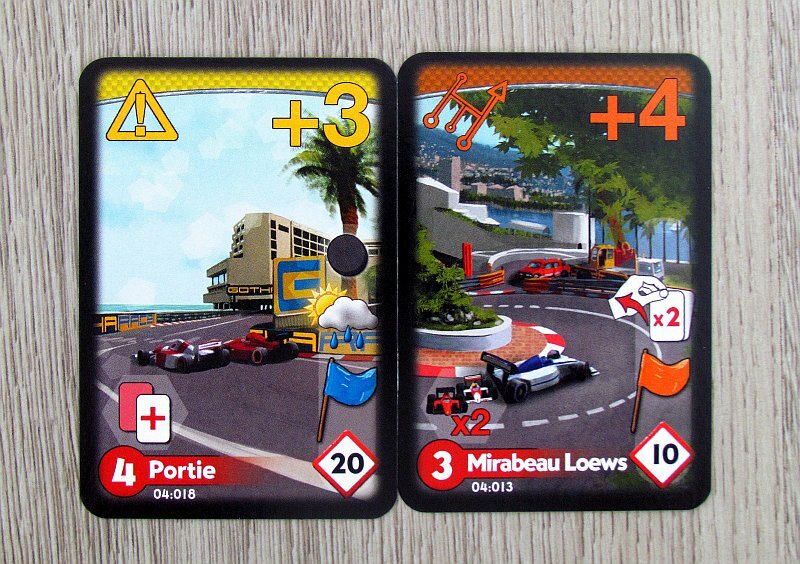 Players will be more likely to ride in slipstream behind their rivals exactly as we know it from real races. 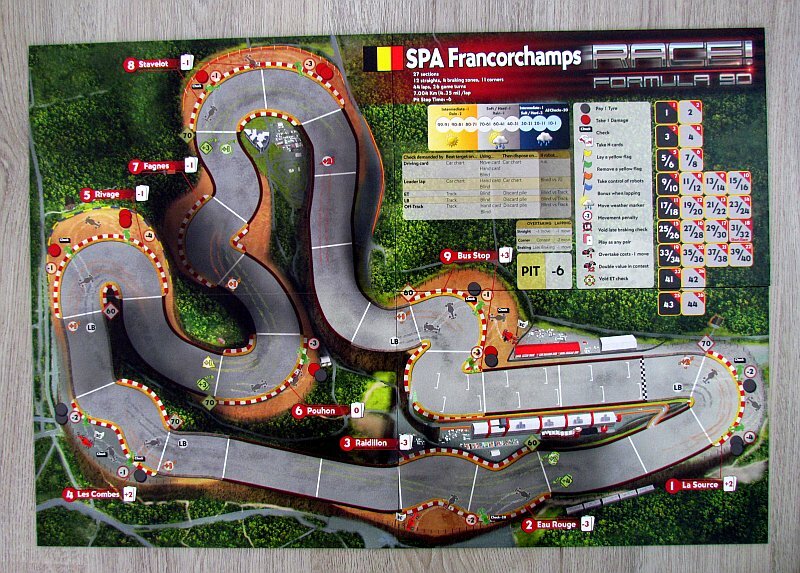 But even Spa is a line, that is something unique. 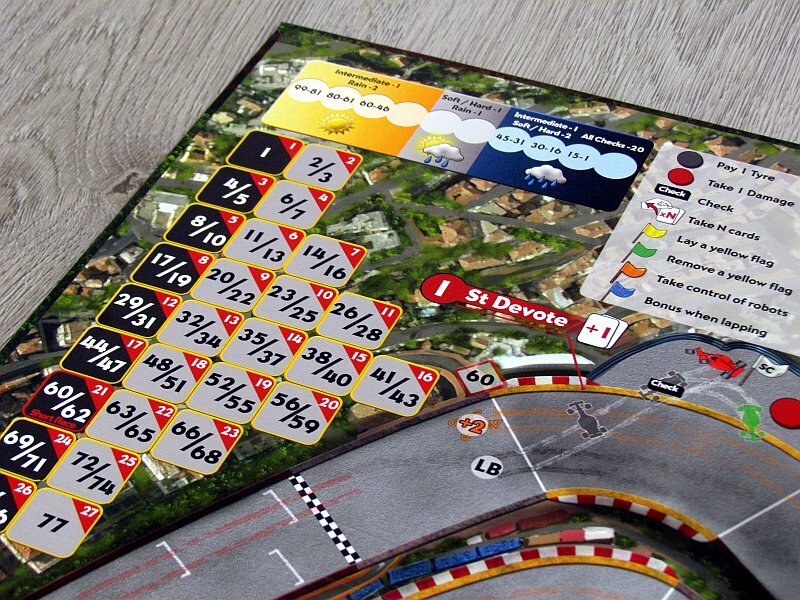 It’s primarily all about the Eau Rouge curve, where brave racers can take advantage of a great overload and get thrown faster into the next long straight. 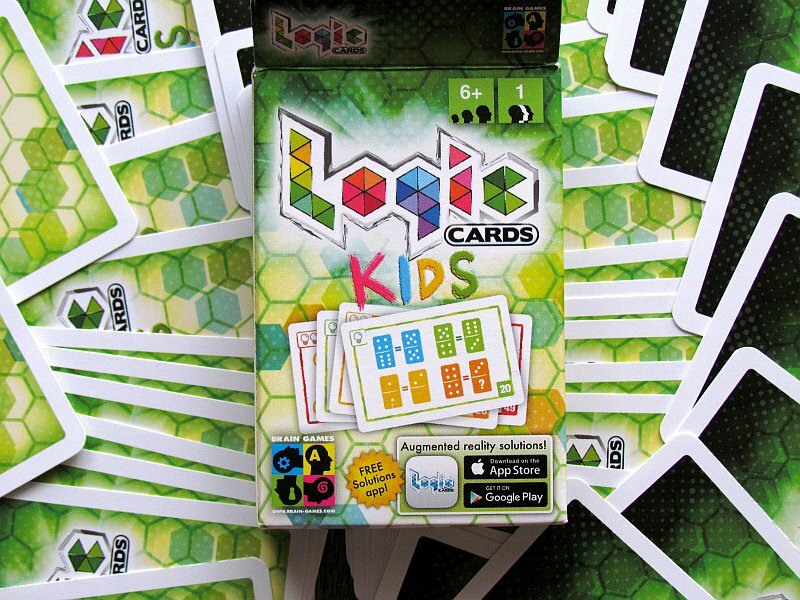 For this purpose, players must take a blind test against the top card from the deck. 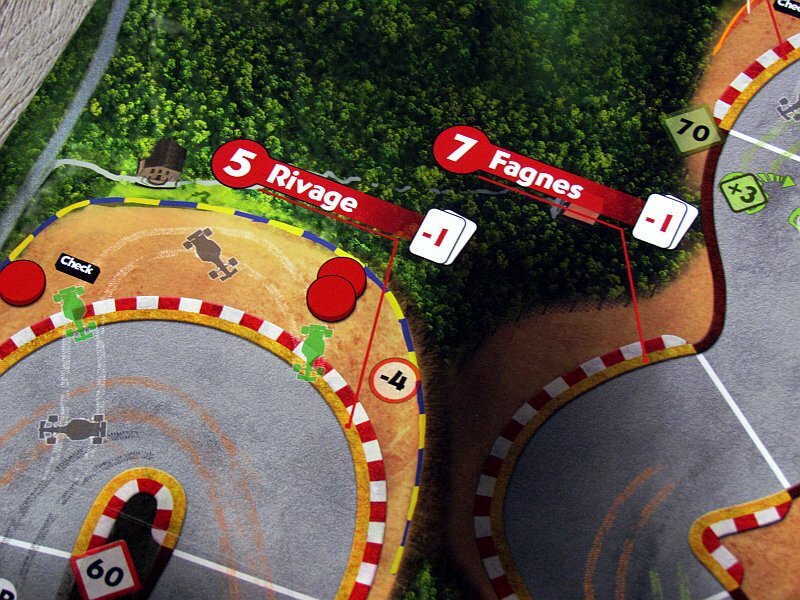 However, the player is not obliged to go through an extreme trajectory, although it can help him in some stages of the race. The two tracks are fantastically thought-out and it’s not just a dirty copied track. 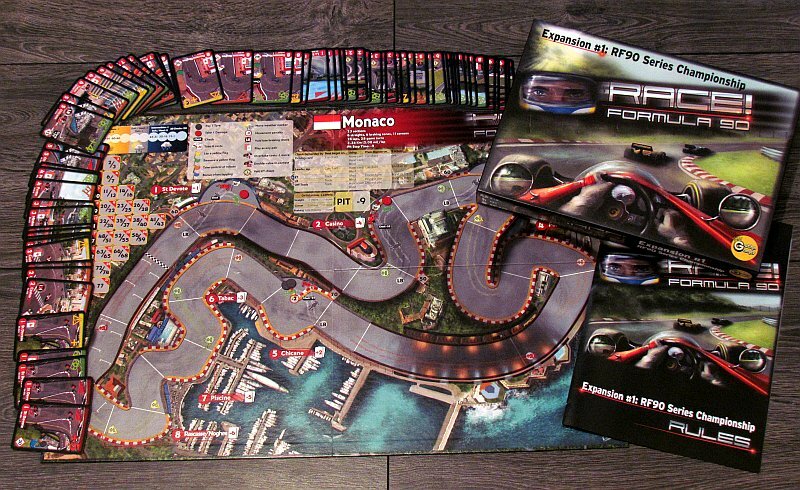 It can be seen that the authors really intended to transfer the real-world experience to the players in the race circuit. And they managed to do it perfectly. The rules also contain some other news. The main thing is to race for the same team and not only with another live player, but also with a robot powered by artificial intelligence. Thanks to this, it is finally possible to do a real championship with many cars as we know it from television. The only negative is the length of the game. 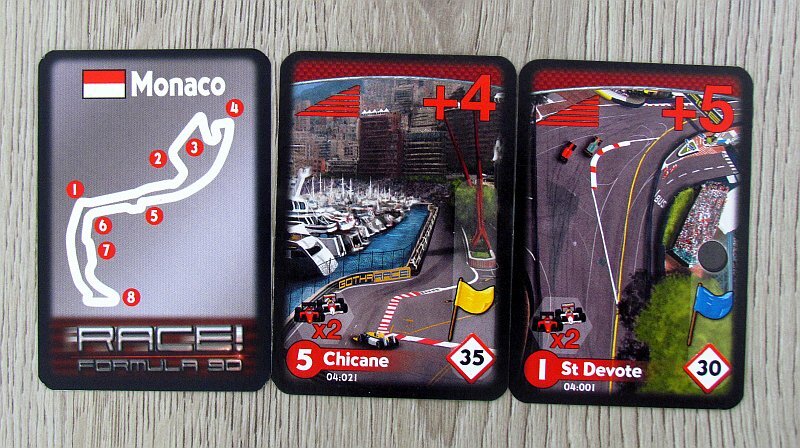 This is even more pronounced in Monaco, where the extreme number of rounds results in a three-hour race. The first Race expansion! Formula 90 is a great achievement. It would seem to contain only two new maps and nothing more. But so much testing and energy has been put into both circuits to return you to excellent gaming experiences. Extensions with sequential number one have indicated, that we certainly did not hear the last time about Race! Formula 90. 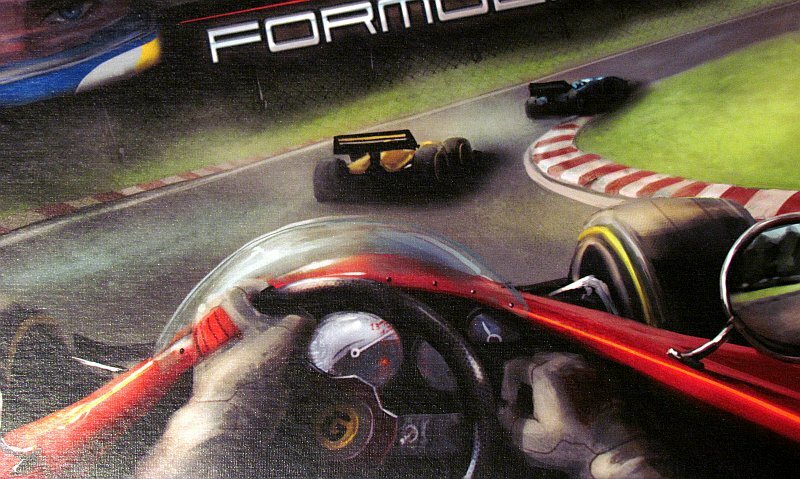 It has the potential to become a true desktop simulator of racing.